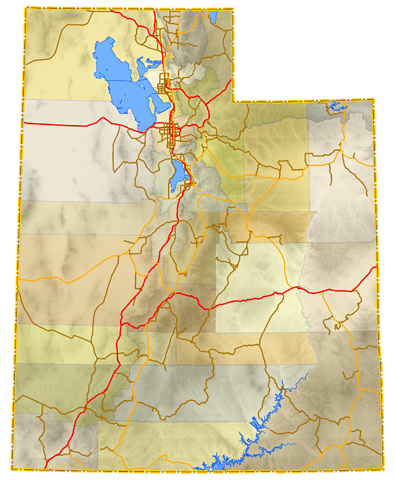 This sitemap covers all highway pages within the state of Utah. Photography contributions by Alex Nitzman, Andy Field, Brent Ivy, Garrett Smith, Jake Bear, Kevin Trinkle and Landry Heaton. Many thanks also to Landry Heaton and Garrett Smith for their assistance with the Utah highway guides. CountyLemonade on Flickr – Site contributor Garrett Smith. @LanRovr0 – Site contributor Landry Heaton. Utah Department of Transportation (UDOT) Highway Referencing for including mileage, route locations, descriptions, mileposts, exits/interchanges, and various features along the route. We try to cite any other sources used on individual pages where we can. If you should find any errors on the page (and we know they are out there), please do not hesitate to contact us.